Treadmills are an investment, but the best ones are worth the money. We looked for well-designed, ergonomic machines at a range of prices and tech levels to suit the home treadmill needs of everyone from casual joggers to fitness fanatics. After comparing stats and putting nine treadmills to the test, we arrived at four models we liked for different workout styles. Treadmills offer an indoor cardio workout without the hassle of a crowded gym. And while the best treadmill you’ve ever experienced was likely at a fitness center, a lot of the top commercial treadmill manufacturers also offer smaller models for residential use. Those are the brands we went after: reputable exercise equipment companies with lots of positive ratings from the likes of Consumer Reports, The Wirecutter, and Runner’s World. 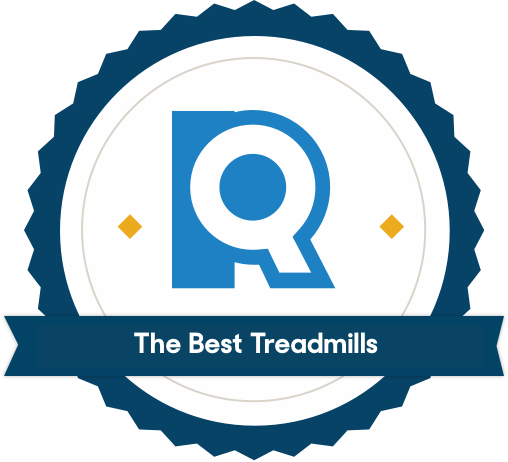 Aggregating their favorite picks, we arrived at a list of nine exceptional treadmills. We brought them in to try ourselves. We ranked the treadmills on their capacities for speed, incline, and decline. The most impressive models offer top speeds of 10-12 mph (the equivalent of running a five- or six-minute mile — slightly below Olympic speeds) and incline a maximum of 10 to 15 percent. Specialty running machines also offer the option to decline, mimicking downhill motion. Treadmills aren’t great additions to your decor if you don’t have the luxury of a dedicated home gym. While most treadmills have very similar dimensions — nearly every contender was inch for inch with the others — we experimented with folding and maneuvering them to find the most portable. We were especially impressed with models utilizing hydraulics, which made lifting up the base a breeze. Health metrics display: We looked for a display that showed heart rate, pace, mileage, and calories burned, at minimum, and placed that information in an accessible format. Intuitive control panel: Touchscreens are great for punching buttons mid-stride, but not when the screen doesn’t respond. Our biggest peeve across the board was being forced to jab at screens, toggles, buttons, or dials repeatedly. We loved when controls were intuitive, easy to reach, and quick to react. Preloaded workout options: Having plenty of exercise styles to choose from encourages changing up your routine, which will help you improve stamina and stave off boredom. WiFi connection: This is just a nice-to-have option that allows you to stream music or movies, check email, visit a tropical beach, etc. Not a dealbreaker (particularly not for our budget picks), but a perk. The user experience on each treadmill is unique, and to some extent which qualifies as best depends on the fitness goals, tech preferences, biomechanics, and budget of the user. That said, testing surfaced a few quality standards. The treadmills that made it to the top of the stack were built with ergonomics in mind, with ample room to stride and a console within easy reach. The controls were easy to navigate while in motion. The belt cycled quietly. Any piece of equipment that testers reported as feeling shaky, uncomfortable, or hard to control did not meet our minimum expectations. Comfort and convenience go a long way in encouraging you to jump on for another run, day after day. Thanks to its starship-like console, this solid treadmill looks and feels like models that cost twice its price. If your exercise of choice is walking, a treadmill with less heft and horsepower will meet your needs at a relatively low cost. 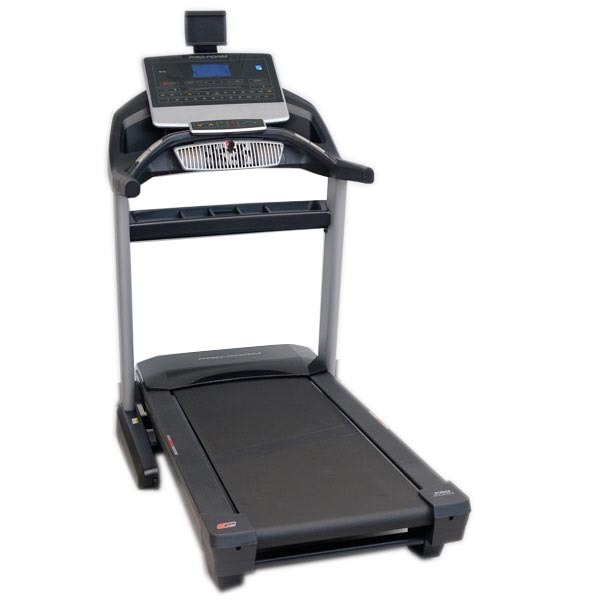 Our choice for walking or jogging, and the best cheap treadmill we could find, is the ProForm 505 CST, a bargain at $600. That said, one glance at its sleek design and upscale features takes the word “bargain” out of your mind. It's a reasonably powerful treadmill for its price, and its clean layout felt much easier to use than the other cheap treadmills we tested. Great for casual athletes and anyone just wading into treadmill territory. The ProForm 505 CST offers an exceptionally streamlined user experience thanks to its clean, modern console. The hexagonal console isn’t just nice to look at, it’s also intuitive to use. Our favorite part? Horizontally placed incline and speed controls. 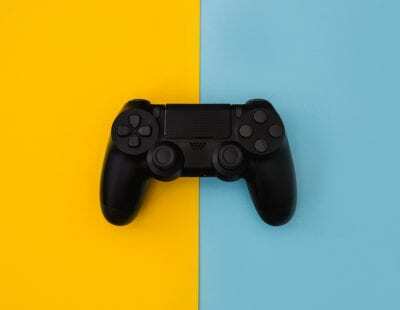 The typical console design organizes those controls vertically, forcing you to reach farther and farther up to hit higher numbers, but ProForm rethinks this arrangement. If you are moving at a steady pace and have no need for the controls, feel free to drift farther back on the belt and stretch your legs. This treadmill offered a surprisingly long running deck despite its overall small footprint. The biggest drawback to this treadmill is noise. The belt hisses as it rotates; the motor emits a heavy sigh when you ask it to incline; and there’s a general rumble that grows louder with every MPH you add. Still, noticeable belt sound is pretty standard for treadmills of any price — we didn’t test a single treadmill that didn’t talk back. Beneath the console upgrades, the 505 CST has preloaded workouts almost identical to any other model: Mountain (blocky hill climb), Calories (two-peaked hill climb), Intensity (heavily variegated hill climb), and Speed (interval training). And while an iFit subscription is presented as an optional upgrade, it's worth noting that some functions are inaccessible sans subscription. Scoring high in intuitive controls and exceptional training features, this affordable treadmill boasts the same motor power as commercial models. Running puts substantially more stress on a treadmill. If you expect to log some serious miles, you’ll need a model with stamina to match your own. ProForm Pro 2000 fits the bill with a motor capable of pumping out high power for the long haul, plus pro-grade shocks that absorb footfalls even at a sprint. For those more interested in belt comfort than programming, we pegged ProForm 2000 as the best treadmill for running. It even has the same motor power at just over $1,000 as machines double the price. Testers loved the spacious belt, clocking in at 60X22 inches. 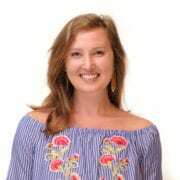 One tester noted that since running is pretty linear, the extra width doesn’t necessarily impact your strides — it’s more psychological: You see and sense the available space around you and feel freer. It takes some of the treadmill out of "treadmill running." Speed and incline controls are set horizontally on the console, just like on our other ProForm top pick. And this model improves on that already-great design by providing arrow buttons on an arched bar at rib-level. Cup your fingers behind the bar and you can easily toggle controls with your thumb. For making adjustments mid-stride, this kind of convenient placement is a game-changer. You can keep your runs interesting by tapping into the machine's iFit potential, though you do have to shell out for a subscription — around $10 per month. Extra expenses for compatible apps are a good thing to keep in mind with most new treadmills, particularly if the interest of various workouts are vital to your motivation. 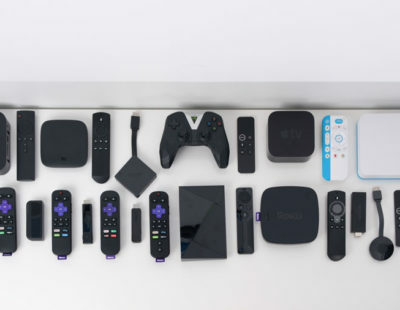 Think of it as a Netflix or Hulu subscription — only better for your health. Micromanage your workouts on the smoothest, most supportive treadmill we tested. For a serious running machine, we recommend the Horizon Elite T9-02. Sturdy and high-functioning, it offers the smoothest, quietest ride of any treadmill we tested — even at a full sprint. Thanks to its cushioned running surface and virtually shake-proof frame, the running experience was better on the T9 than any other machine we tested. If you already know the way you want to train, you need a machine that can support your fitness goals. The T9’s expansive programming is best suited to the experienced runner and includes the ability to customize workouts, track your stats down to the decimal, and enjoy virtual programming that leads you down forested paths. 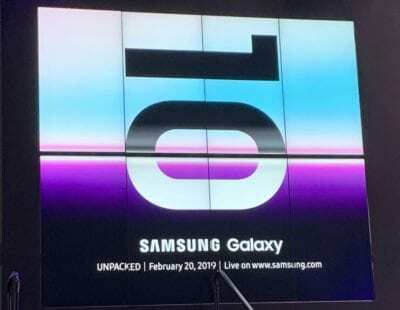 Its 10-inch touchscreen console comes packed with tons of workouts (44 — the highest number we’ve seen), customization, and targeted fitness tracking, no need to sync up or download. One of the most unique features is the ability to customize an entire workout, setting speeds and inclines for different time increments (the result looks like one of the pre-programmed workouts, except you set the details). During every workout, the machine tracks a ton of metrics (average heart rate, speed, time, etc. ), recording that info in distinct time chunks. (This is made possible by the included heart-rate chest strap, which allows you to keep an eye on your vitals without pausing your workout to grip the handrails.) Runners get an in-depth look at how they perform during a sprint versus a long, steady jog, or at how quickly their heart rate drops during cool-down. The T9's touchscreen console replaces the majority of controls, leaving just two arrow toggles for speed and incline, plus the classic Stop and Start buttons. We found it fairly easy to make adjustments mid-stride but, like most touchscreens, you may find yourself tapping repeatedly before some commands respond. Maybe it’s more the result of sweaty fingers than anything else, but it’s an area for improvement for this model. With its extra-large console and engaging workout videos, the NordicTrack C 2950 makes workouts fun. If you’re looking for a state-of-the-art treadmill, one that offers both max power and gym-quality training features, the NordicTrack C 2950 is hard to beat. Commercial machines — usually designated by a “C” in the name — are the kind that line fitness clubs, and tend to be bigger, heavier, and higher-tech than their residential counterparts, since they’re made to withstand near-constant use and support professional training. 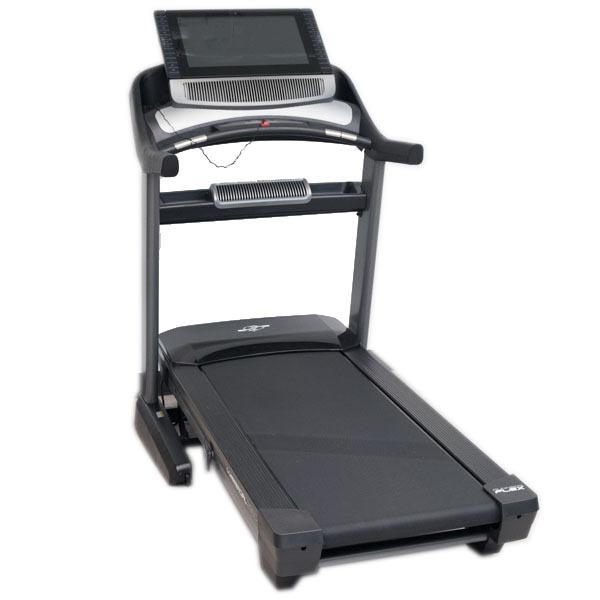 They also come with a hefty price tag: the NordicTrack C 2950 is priced around $2,500. For your money, you get a ton of horsepower (the highest we tested), a spacious running deck (the biggest we tested), and an enormous, 22-inch touchscreen replete with a library of scenic runs, cross-training workouts, and personal trainers to coach you every step of the way. Despite its motor power (4.25 CHP) and heft (it was the hardest to move at 337 lbs. ), one tester still found that it shook under the impact of sprinting. At lower speeds, you’ll find this treadmill more stable, but anyone looking to incorporate sprints of 10-plus MPH will find more comfort on the Horizon. The NordicTrack offers a plethora of outlets: USB, full-size HDMI, and MP3 input (allowing you to play your music through the speakers). But we were disappointed in the lack of audio output: When we turned on one of the C 2950’s fitness programs, our only choice was to play the audio through the speakers — no headphones for us. Secondly, the scenic runs were surprisingly disappointing. Rather than smoothly progressing forward like GoPro footage, the image jumps about 20 feet every few seconds using Google Street View, moving incrementally farther down the street as the camera relocates in a slowly pixelating blink. If you’re looking for programming, stick to the trainer-led workouts. The treadmill belt, a length of PVC that loops around the deck allowing you to run in place, is a key consideration in choosing a machine. Because walking strides are shorter than running strides, most walkers will be comfortable on a belt that is 55 x 20 inches. For runners, we preferred a belt measuring 60 x 20 inches or more. Also, consider belt thickness. Thin belts are vulnerable to splitting over time, so look for thick belts or two-ply belts, which are more durable. On the flipside, thick belts provide greater longevity but run an increased risk of overheating. A hot machine consumes more electricity and can damage components over time. Treadmill manufacturers report motor capacity in horsepower: either in terms of peak performance or performance they can sustain over time. The latter is the most authentic, so always look for a treadmill’s CHP — continuous horsepower. How much horsepower do you need? The answer depends on exercise style. User weight and workout intensity both increase CHP demand. If you're placing extra load on your treadmill for either reason, you will need to level up in treadmill power: Add another 0.5 CHP for users who weigh more than 200 lbs. or keep intense workout schedules. Treadmills are heavy to move and can be tricky to assemble. We highly recommend "room of choice" delivery. Find a spot where your treadmill can have 2 to 3 feet of clearance on all sides, and 6 to 8 feet of space to the back. We found that simple treadmills (like our walking picks) are fairly straightforward to get up and running DIY-style. With two sets of hands, assembly shouldn’t take more than an hour and a half. That said, be aware that some warranties are voided if the treadmill is not professionally assembled. For complex machines with lots of wiring and bulky components, we opted for Amazon Home Services. One installer, who told us he puts together four to five treadmills every day, offered advice for those going the DIY route. His no. 1 tip: Don’t use the manufacturer’s tools. They typically enclose a dinky Allen wrench or two, but you can cut assembly time in half with power tools. He relies on a cordless drill/driver with a variety of hex bits, plus a small crescent wrench. Vacuum: Dust and dirt spell disaster for motors and decks, so you’ll want to vacuum regularly beneath the belt and under the motor cover. 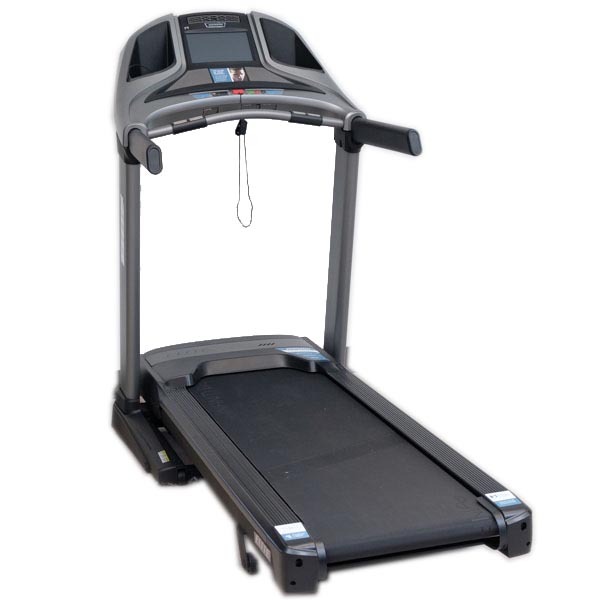 It’s also best to place your treadmill far from exterior doors to avoid extra contact with debris and pet hair. There are quite a few alternative treadmills on the market and, depending on your exercise preferences, one of them may be just what you’re looking for. Climbing and incline treadmills both provide effective workouts that change up muscle loading and engagement. Climbing or hybrid treadmills, like the Bowflex TreadClimber, provide an elliptical-like, low-impact cardio workout. Incline treadmills, like the True Fitness Alpine Runner, can simulate a hike up Mount Kilimanjaro. And while standing desks do wonders to improve the sedentary 9-to-5 lifestyle, you can also kick your workday wellness up a notch with a treadmill desk. Is running on a treadmill as good for you as running outdoors? While the general mechanics of running are the same no matter where you do it, treadmills lack surface changes and environmental conditions. Running on a solid, flat, unchanging surface will never mimic the dynamism of road running. Because motorized treadmills pull their users forward instead of requiring the runner to propel themselves, NSCA strength and conditioning coach Derek Zahler suggests you “adjust the running surface to a 1 percent incline to execute your workout” then bump it up 1 percent more to account for the loss of wind resistance and environmental pressure. According to chiropractor Seana Katz, from Katz Chiropractic in Boulder, Colorado, treadmills “may be less beneficial in terms of proprioception and balance, compared to trail or road running” but also are slightly gentler on the joints. Their belts are designed for optimal shock absorption and load dispersion. We've been digging into the engineering and user experience of treadmills for nearly five years, publishing our findings on the best models for different needs. Check out our top picks in the reviews below.